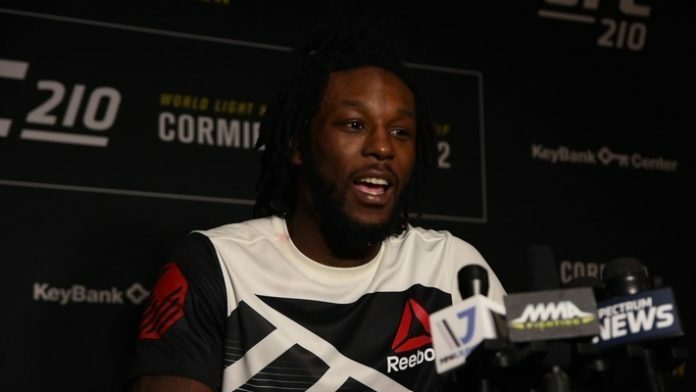 Ultimate Fighting Championship (UFC) lightweight Desmond Green was involved in a five-car crash that killed two people. Local 10 ABC News in Florida reports that Green lost control of a Dodge Durango along Interstate 75 in Davie. Alvaro Feola said that the accident occurred just before 6:15 a.m. Saturday morning (Aug. 18). Feola is a spokesman for the Florida Highway Patrol. When Green’s vehicle veered in the path of a tractor-trailer, it caused three other cars to collide as well. As a result of the accident, 67-year-old Emelina Morfa and 76-year-old Emma Suarez Hernandez were killed. They were both passengers in a Toyota Yaris. At this time, no criminal charges have been filed but an investigation is ongoing. Green last competed back in June at UFC Utica. He defeated Gleison Tibau via unanimous decision. “The Predator” dropped two straight bouts and a third loss may have sent him packing from the world leader in mixed martial arts. Thanks to his latest victory, Green is 2-2 under the UFC banner. Before entering the world of MMA, Green was an NCAA Division I wrestler at the University of Buffalo. He was kicked off the team following a positive test for marijuana. Green’s wrestling has served him well in MMA, capturing Titan FC gold and competing for the UFC and Bellator. MMA News will keep you posted on the fallout from the car accident involving Green.